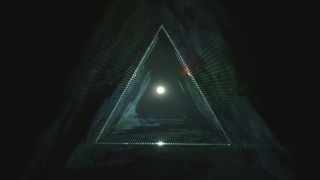 // Tycho's Music Video Redux For "See"
To capture their footage, the crew shot Tycho's entire performance in the dark. Members of the band could neither see one another, nor tell who or what the camera was looking at, yielding a raw musical experience that makes the performers look like living constellations. "The visual results tie perfectly with the concept of See,'" says GMUNK. "We always seem to reveal new worlds that are beyond our terrestrial abilities of sight."